I am a total skirt junkie. I LOVE wearing skirts! I’ve never been a girly girl, but skirts are femmine without necessarily overdoing it. Even if you’re wearing a simple and casual outfit, a skirt makes it look more put together. And, unless it’s a tight pencil skirt (banned from my wardrobe), skirts are also really comfortable. 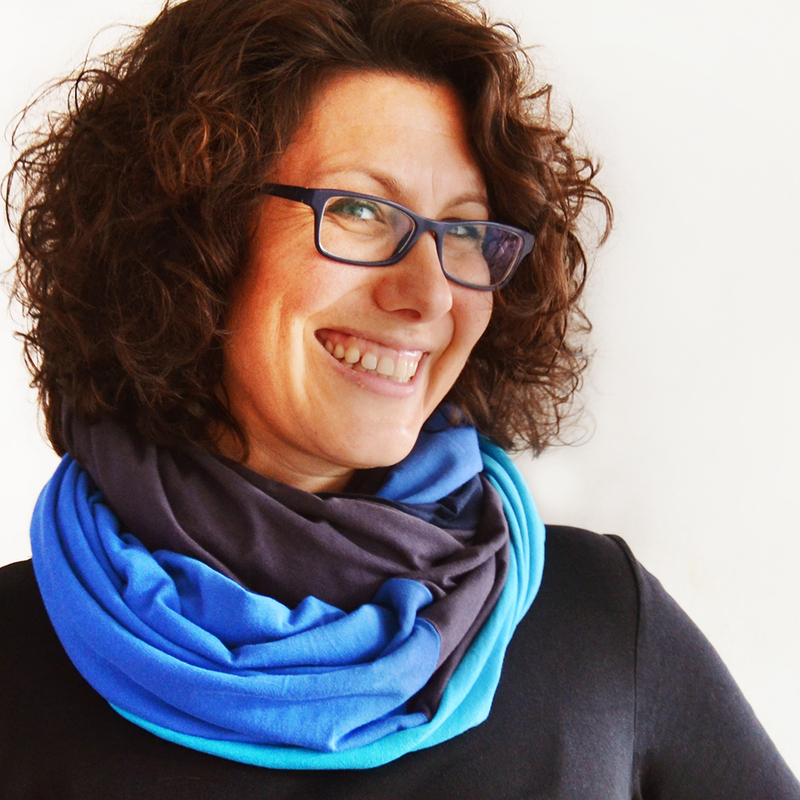 And can be worn with colorful tights and leggings! If it’s cold out, I just pop some legwarmers on to keep my legs warmer. As far as I’m concerned, you can’t go wrong with skirts! 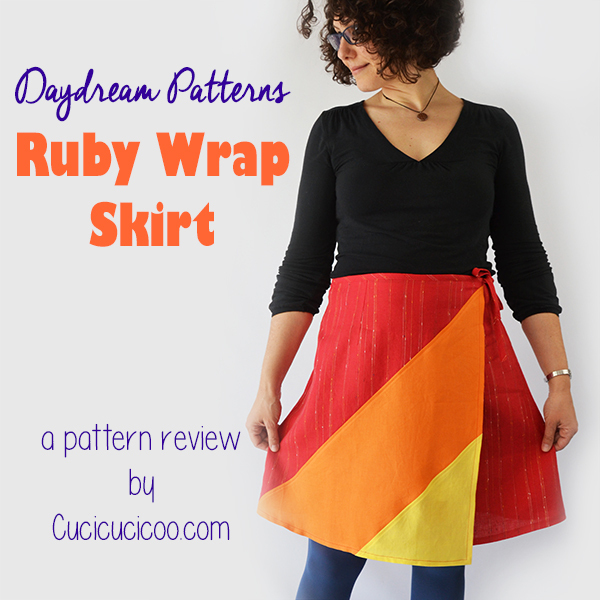 I am part of numerous pattern testing groups, and a few months ago I enviously admired lots of gorgeous Ruby Wrap Skirts for girls. 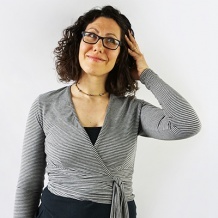 So when Jo from Daydream Patterns put out a call for testers for the women’s version, I signed up right away! 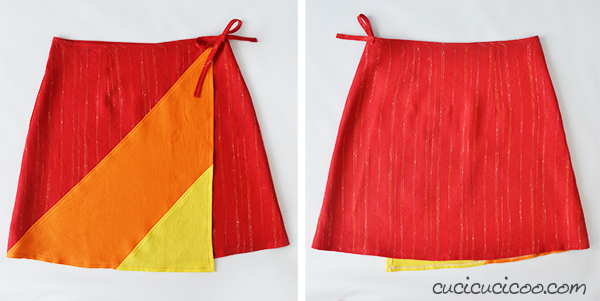 The Ruby women’s wrap skirt pattern is a really fast and easy design that’s perfect for beginners. There are overlapping panels in the front that are secured closed with a snap and a tie on the side. 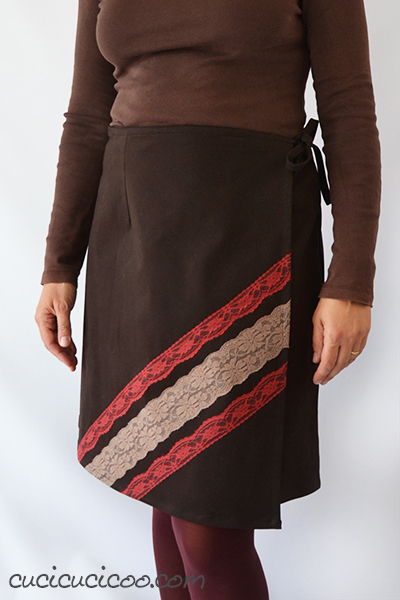 An interesting feature of the Ruby Wrap skirt is that the front panel is shaped in a way to make it asymmetric and more visually interesting. 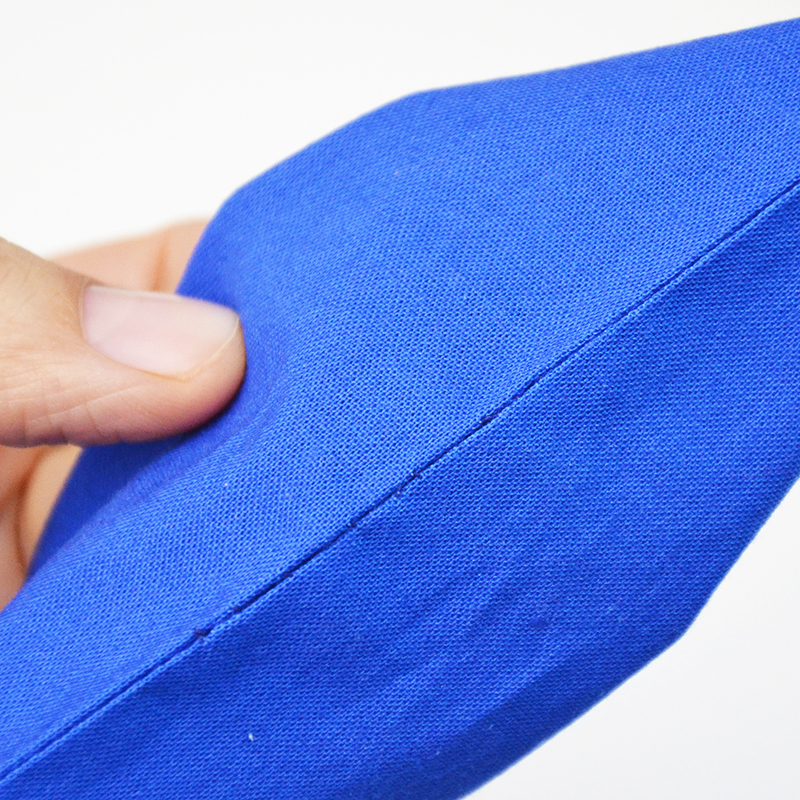 There are also darts on the front and back to give it a little bit of shaping. color-blocked, with the front panel being broken into three diagonal parts. 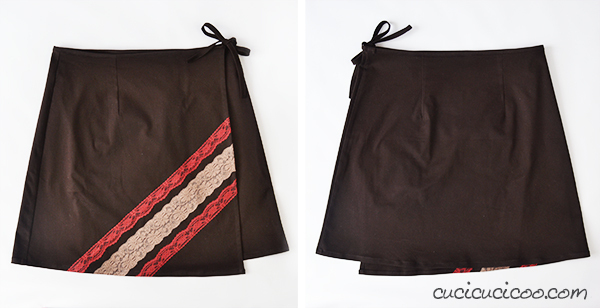 I first sewed a lace Ruby Wrap Skirt. This was actually the wrong size and so is a bit large on me. My tummy is disproportionally wide to the rest of my body, which often throws off sizing. Because this was a pattern testing, Jo and I talked about trying out different sizes to see what to suggest to future pattern sewers, and I started with the size 18, even though she thought that it would be too big. 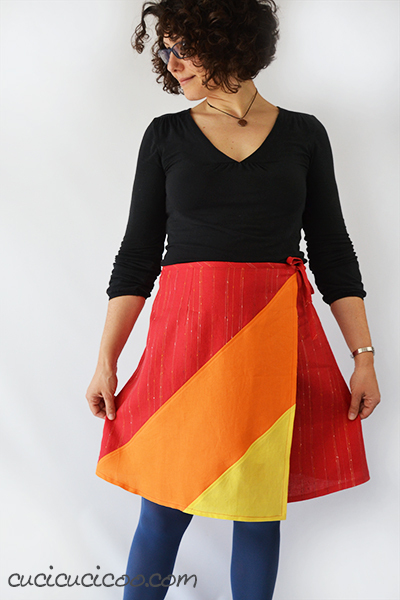 I then sewed a size 16 color-blocked skirt from lighter weight linen for a more summery skirt. Once again, I made my own bias tape, but I decided to try out a different way of hemming that the pattern instructions suggested. 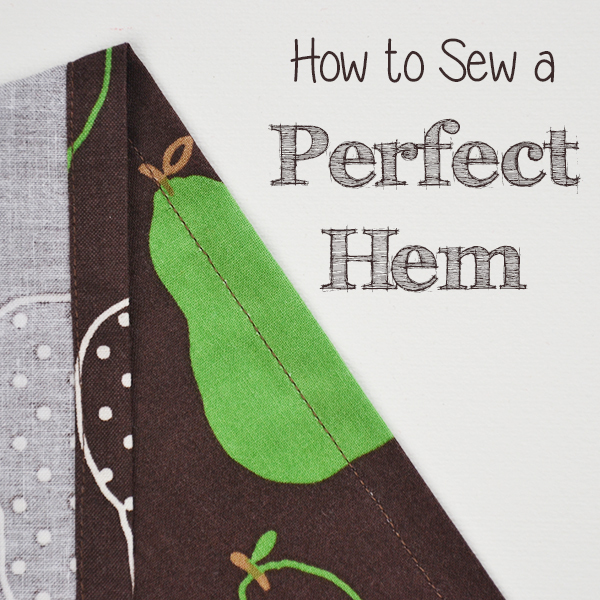 The trick is in one little extra seam that makes a perfectly folded corner easy! Here you can see the backside of the front panel, with it’s perfect corner! I’d never heard of this method, but I love it! The size 16 fit me much better and the linen with more drape also better showed off the A-line shape of the skirt. I really love this pattern! 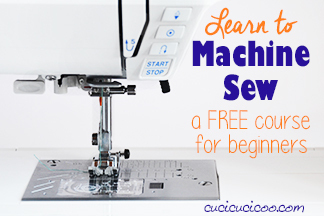 Once I read through the instructions and saw how everything went together, it was quick sewing. And it was even quicker sewing the second skirt. 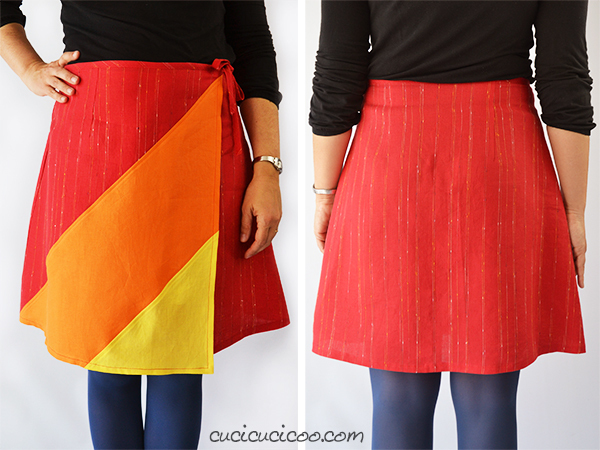 I completed the entire color-blocked skirt in less than a day, from ironing and cutting fabric, to sewing, to making my own bias tape, to hemming, and to hand-sewing the snap on, working around all the usual day-to-day things I had to do. 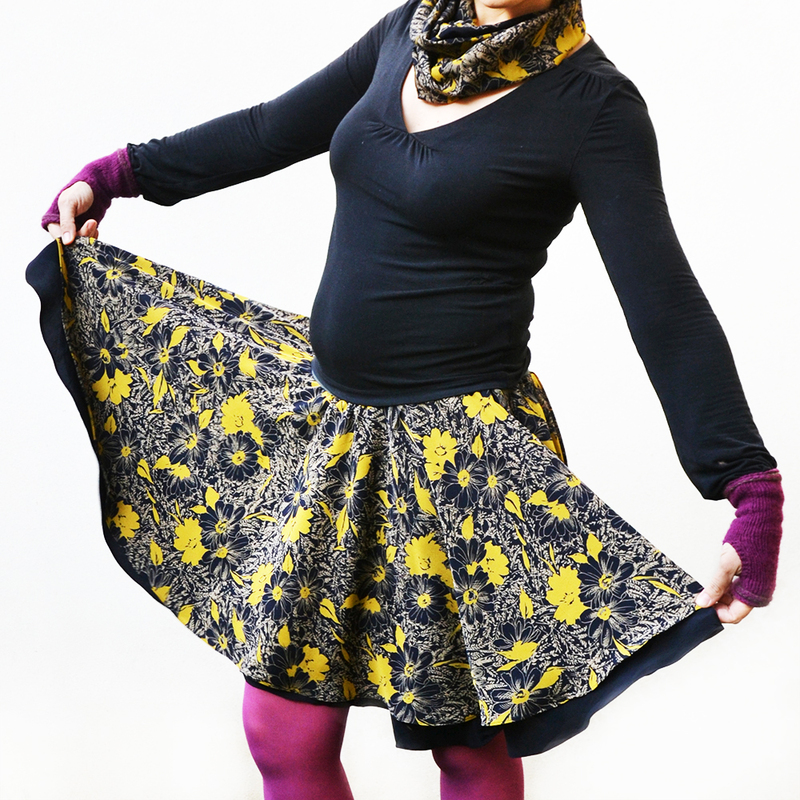 It’s also really, really easy to sew this skirt. The design is very simple and the instructions clear and easy to follow. 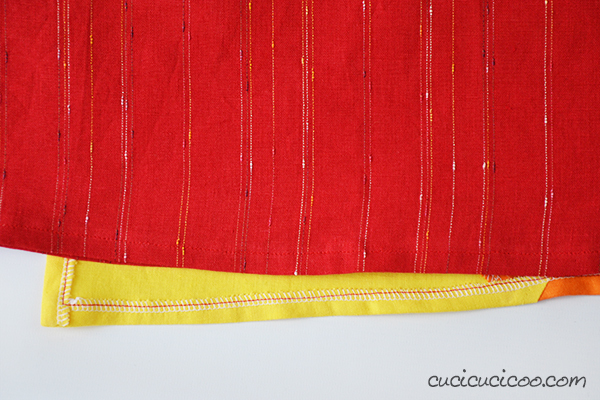 And I love nothing more than being able to easily customize a pattern to fit my own taste. 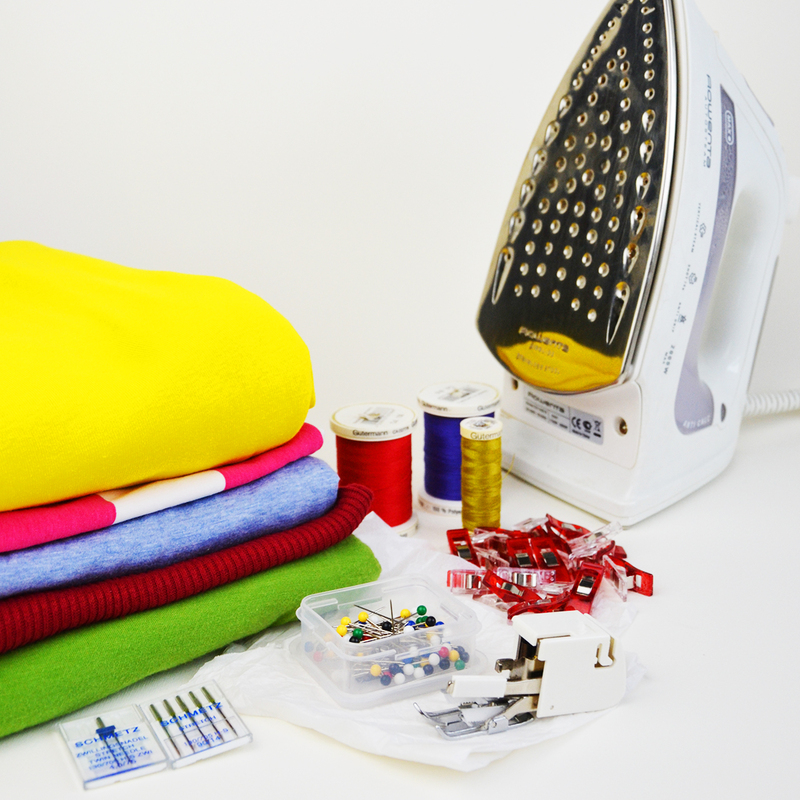 The three options give you lots of ways to make the skirt in your own style and to really let your special fabrics and trims shine! 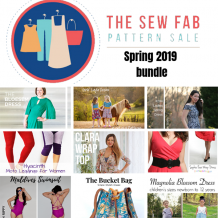 So, whatever level sewer you are, I highly recommend you head on over to Daydream Patterns to get your Ruby women’s wrap skirt pattern! You will not be disappointed! 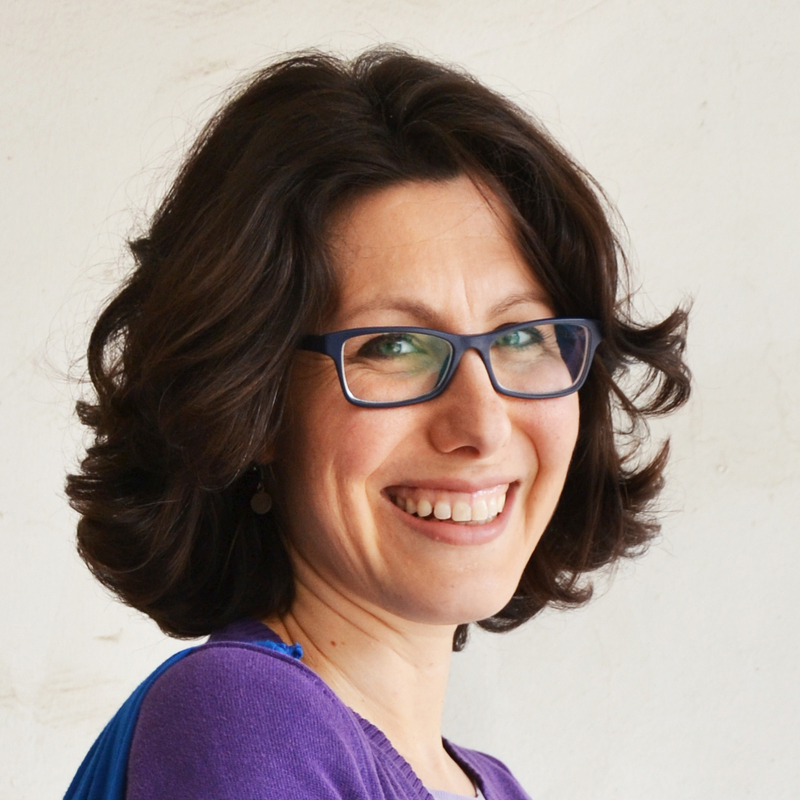 There is even a special 25% discount until April 26! 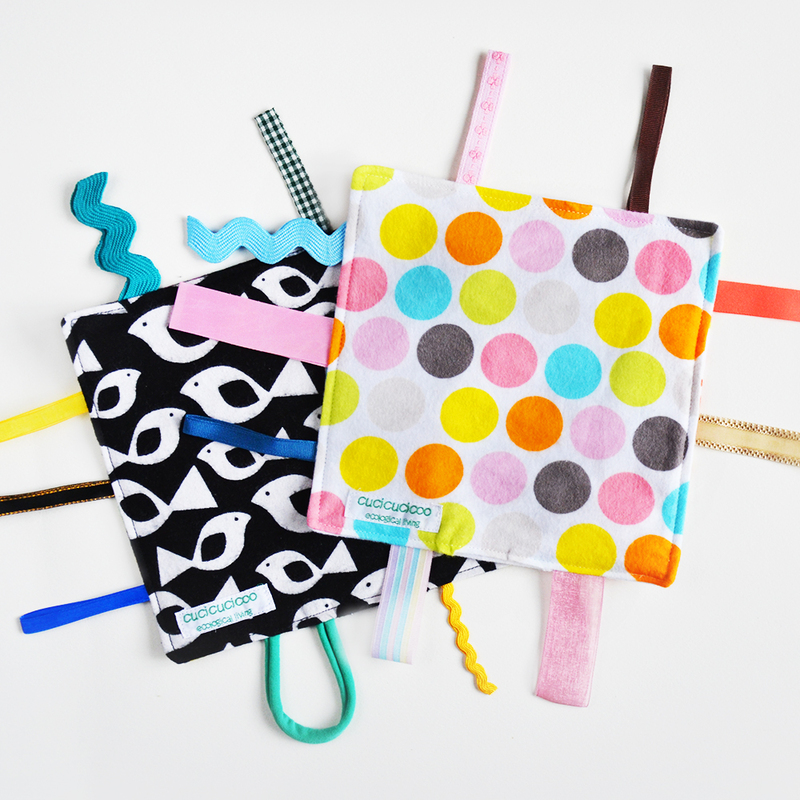 Head on over to the Daydream Patterns Facebook group to find the discount code! Get the pattern at the Daydream Patterns pattern shop or on Etsy. 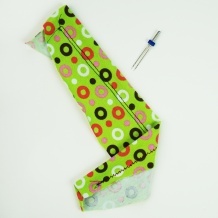 And once you sew your Ruby Wrap Skirt, I want to hear all about how much you love it! 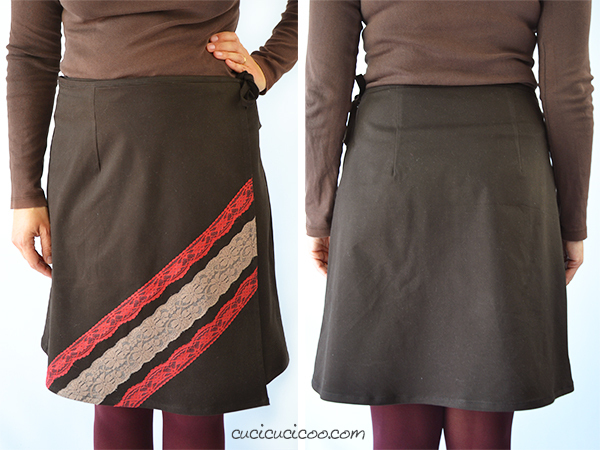 Want another great women’s skirt that’s really easy to sew and lots of fun to wear? 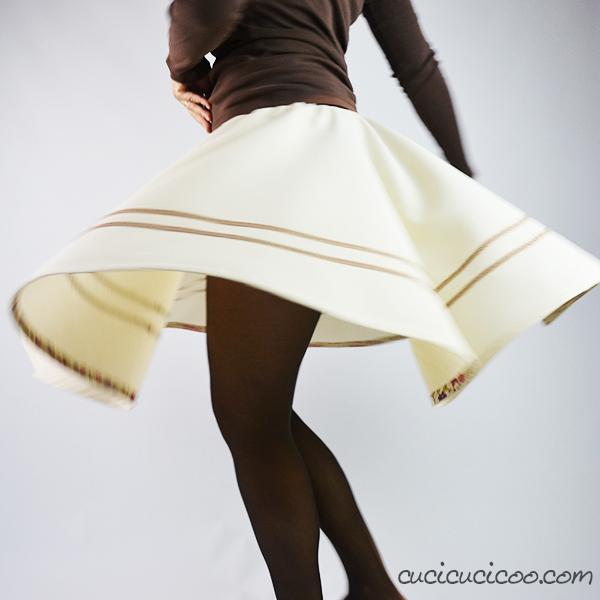 Check out my Circle Skirt tutorial and free template with a special super easy hemming trick that takes a fraction of the time to sew!